Lemonade Makin' Mama: Sweet little clothespin ornaments, etc. I had a wedding anniversary...yesterday. It was eighteen years, on the eighteenth. 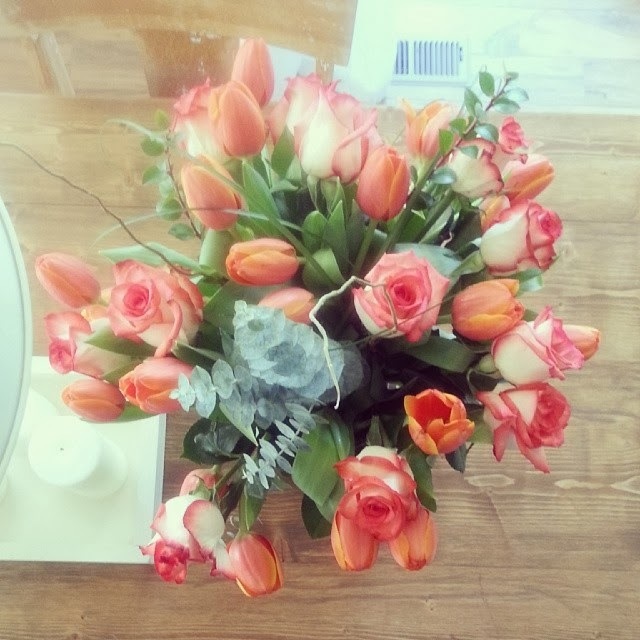 May man came home with peachy-orange roses and tulips. But I love that he did. We were babies. I had just turned 20 and he was still 19. Oh boy. We grew up together, that's for sure. My brother and his sweet wife and baby came to hang out yesterday because Joe had his first orchestra concert last night. It was a big deal. He was crazy nervous and looked so handsome. I was so glad he had an Uncle and Auntie there to clap for him. (We laugh and call ourselves the Bravermans.- You know, from the show Parenthood?) 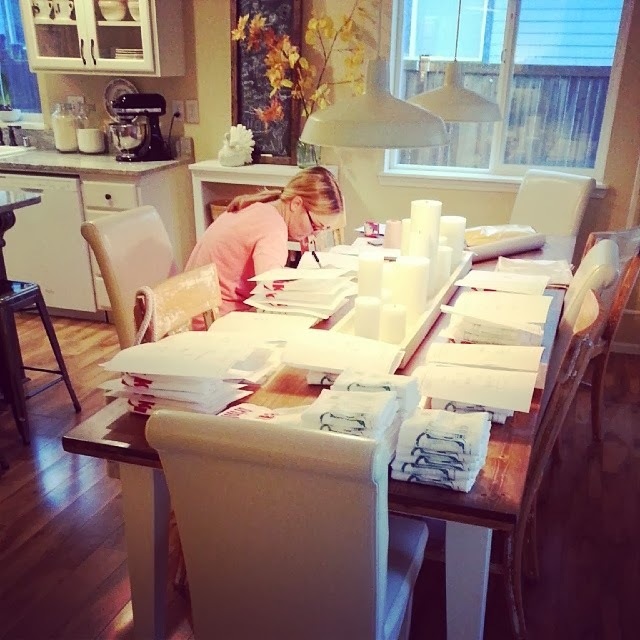 Before kiddos got home, and before Adrain got off work, and before the concert, my sis in law let me put her to work packaging your orders. It was a big job and she was awesome help! My shop closes temporarily for the holiday season, on the 13th of December... however my vintage ornament canvases will only be for sale until Thanksgiving so if you want one, get your orders in asap. They take 3-5 business days to process and then they ship so I decided it would be easier on me if I only offered them for a short while longer. Also I've only got a handful of my ball jar dishtowels left in stock and once they're gone, I won't be making any more until I reopen in January/February.) Click here to shop. My man was behind the camera at last night's concert... love this cute shot he took of my niece cheering on Joe as he played. Joe normally plays violin and guitar, but he has been learning to play the double bass this year as well. I think my boy is going to gravitate toward anything with strings. It sounded SO cool! I had no idea. Wish I played! Love the serious face. I made some fun wood star ornaments for the tree this week and wanted to share. Ava took all the springs off some wood clothespins, and then I hot glued their flat backs together. Once that was done, we hot glued six of the glued pieces into star shapes. It was really simple and I think they will look great on our tree. I love the natural wood look of them, but you could easily paint them or stain them any color you wanted. I am going to hot glue some wire loops on the backsides so they will hang. A few posts back, I shared about using Avery labels for the holiday season. I've been loving these labels and tags (also sold in my shop) and have been finding great uses for them. (Wait til I show you what I've come up with for my Thanksgiving place cards!) If you haven't checked out this post, make sure you do, and leave a comment to enter the $100 Visa gift card as well! They will be announcing a winner after December 15th. Top right: I shared a few sweet jewelry items from lemonkissed.com on Instagram, and wanted to share it here with you as well. Shauna is offering you guys 25% off your jewelry orders (check out her necklaces!) by using the coupon code "LEMONADE" when you shop. Click here to shop! 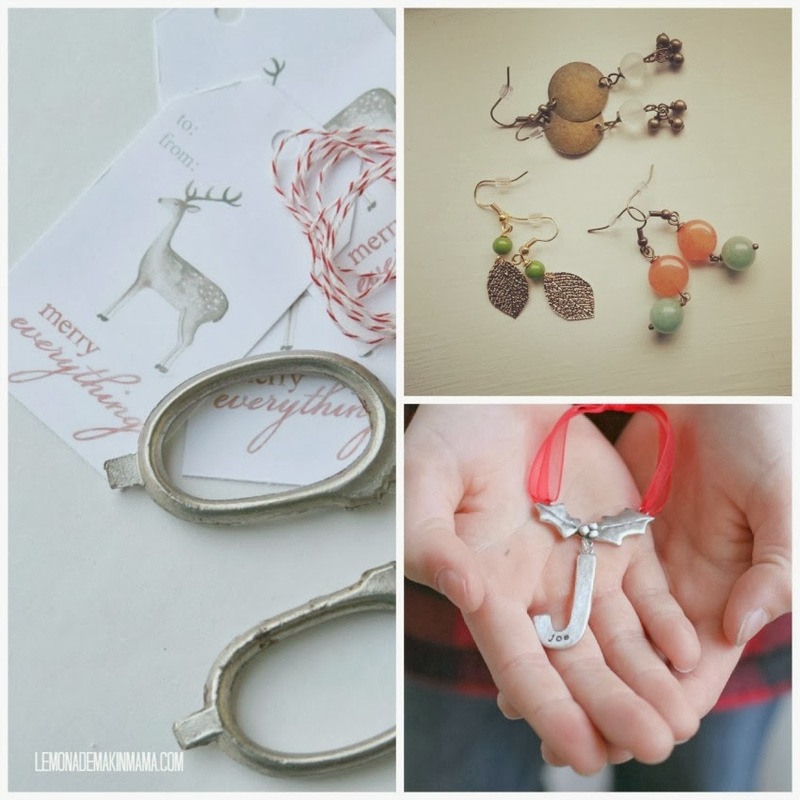 I also shared the darling monogram Christmas ornaments from Lisa Leonard, in this post. From now until December 5th, use the code "hollyjolly" to get 15% off your order! Click here to shop! So that's me today. How are you doing? 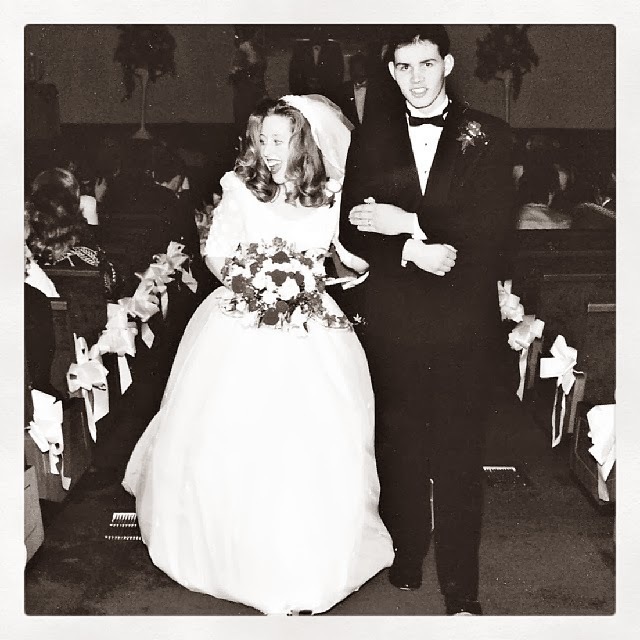 Congrats again to the both of you for celebrating 18 years! WOW. :-) Your son is starting to really look older now, I know how fast things change at this age. HOLD ON...LOL Thanks for sharing the wooden snow flakes, I am trying to do a very simple natural tree this year so thanks again. Have a blessed night. So much going on here. Very big days all around. :-) I. Will. Never. Get. Joe. Right. What cute, cute ornaments! I can just see a tree full of those. You are so crafty and do such good work. I know your gift items will make a lot of folks happy this Christmas season. Blessings! wow -those clothespin ornaments are professional. and this is such a beautiful testimony... 18 years! such glory! Happy anniversary! Great to see Joe playing double bass. I play violin and just started harp, but my husband plays almost anything with strings and has never had a bored moment in his life, and has also had so many opportunities to play with others. Double bass players are always in demand so it's a wise move in that way, as well. Love your peg stars. Congratulations on your anniversary! I celebrated 8 years married to my husband yesterday (the 19th). Love the ornament idea too! So simple and pretty. Happy Anniversary!! Quite an accomplishment in this day and time. :) How awesome that your son plays all those instruments. I'm sure you were very proud of him. Love the ornaments too. So cute. Congrats! That is definitely something to be proud of. That is a great instrument, a jazz man of sorts, but hard to transport. I just got the Parenthood reference we love that show and your hair is like Christina's, do you think Amber will get married? I say no, she's too much drama. Congrats on your anniversary. Joe looks like a serious musician. Wow, what an accomplishment. So happy for him-and you. Love the clothespin ornaments. OK, they are definitely going into gift baskets this year. We're doin' all homemade! i know you're thankful for the help you got from your sis-in-law! how sweet of them to come support J.
hope y'all are off to a great weekend, friend.